The Apollo Victoria Theatre is a theatre on Wilton Road near Victoria station in London. The building was designed as a "super-cinema" by E. Warmsley Lewis in 1930 in striking art deco style. The cinema however, closed in 1975, but it was to reopen six years later as a theatre, with a concert by Shirley Bassey providing the opening night. The Apollo Victoria Theatre was home for eighteen years to Andrew Lloyd Webber's musical, Starlight Express, for which the theatre was extensively redesigned to accommodate a multi-tier roller skating arena. On 12 January 2002, shortly before the show's 18th birthday, Lloyd Webber made the decision to stop the show, in order to open his new production of A. H. Rahman's Bombay Dreams at The Apollo Victoria, which received its world premiere on 19 June 2002. The original production, which starred Raza Jaffrey, ran for two years before closing on 13 June 2004 after over 1,500 successful performances. The Apollo Victoria Theater is currently home to the broadway smash hit Wicked, which made its Apollo Victoria West End debut in 2006 and has broken box office records since. In January, 2011, the London, Broadway, and both North American touring productions of Wicked simultaneously broke the records they held for highest weekly gross. 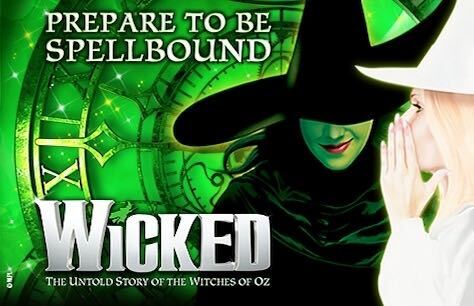 The Apollo Victoria London production of Wicked has been seen by over 2 million theatre-goers. One of the largest theatres in the capital, London's Apollo Victoria Theatre has a staggering capacity of 2,208. Age Restrictions: Children under 3 will not be admitted. Children under 16 years must be accompanied by an adult.